with clear and iridescent rhinestones. 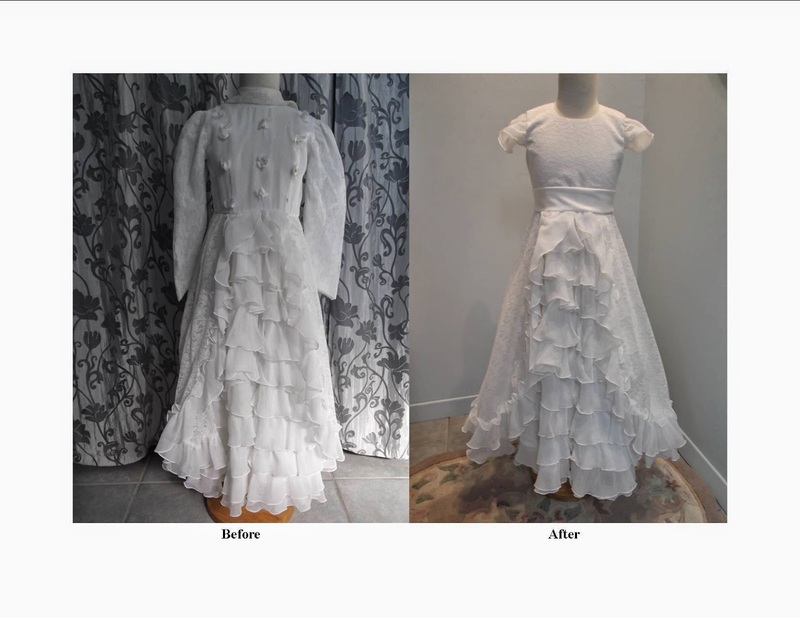 This client wanted her daughter to wear her dress for first communion. 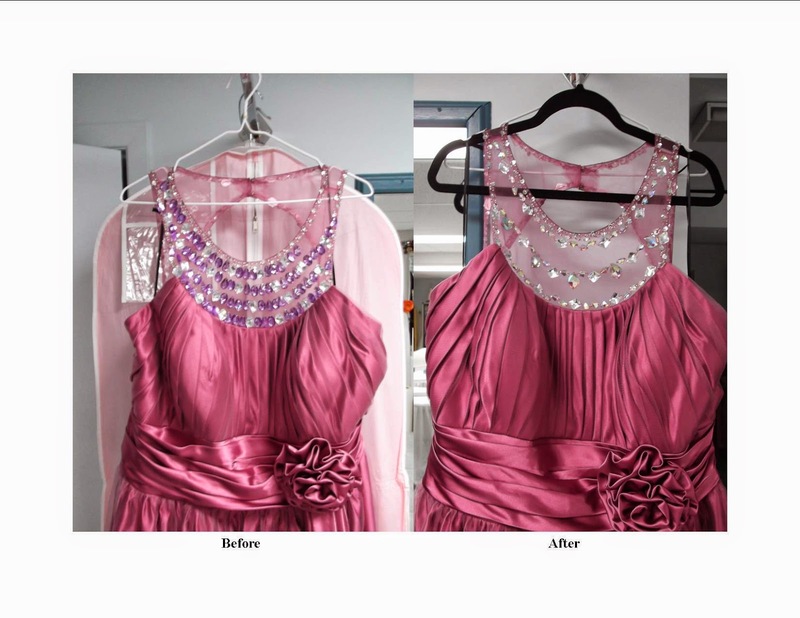 She wanted the flowers removed from the bodice and change the sleeves.